It is three years since world governments signed off on the Paris Agreement, with its goal to hold global temperature increase to well below 2C and to pursue efforts to limit it to 1.5C. They did so in the knowledge this required strong and rapid actions to reduce greenhouse gas emissions. To clarify how strong and rapid reductions needed to be, they also asked the UN Intergovernmental Panel on Climate Change (IPCC) to provide a report on warming of 1.5C. In response, it has published a report which is perhaps the most startling in its clarity, and challenging in its messages, that it has provided in the 30 years since its formation in 1988. The IPCC special report on global warming of 1.5C was published in October. It sets out the scientific framework for actions to deliver on the Paris Agreement. It explores issues at the heart of global climate policy; that is the temperature goal which is considered essential to avoiding large-scale, irreversible climate change impacts and their consequences. 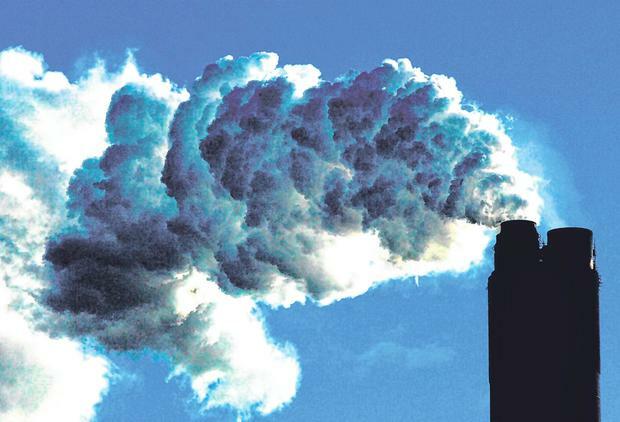 The aim to limit the increase to 2C has informed EU climate policy since the 1990s, when it was adopted ahead of the negotiations on the Kyoto Protocol. It provides the basis for the EU-wide emissions reduction targets to 2020 and 2030. The goal to limit the global temperature increase to 1.5C is more recent. It arises from increasing awareness of the impact climate change is already having, and will have, on vulnerable communities and regions. The existence of some small island states and low-lying coastal areas is threatened by sea-level rise so it has been strongly promoted by small island states and lesser-developed countries. As an island nation with coastal communities at risk from rising sea levels and coastal erosion, this has a particular resonance for Ireland. The IPCC outlines the benefits of such a goal as well as the challenges of meeting it. The messages are clear; human activities have already caused warming of 1C. The impacts of this are evident in sea-level rise and changes in extremes such as heat waves and intense rainfall events. Each global increment increases the risks and scale of impacts. There are greater reasons for concern and costs in managing these either through adaptation or remediating action. Key thresholds for the onset of large, irreversible effects due to loss of major ice-shelfs and permafrost areas are considered by the IPCC to exist around 1.5-2C. As such, the report identifies considerable benefits for everybody in limiting the global temperature increase to 1.5C. However, an estimation of the costs of the avoided impacts, which are local in nature and distributed globally, are difficult to determine. These include avoiding the challenges of displaced populations. The good news is that warming of 1.5C can still be avoided. But the rate, and particularly the scale of collective action required to do so, are unprecedented. The global temperature increase will largely be determined by future emissions of carbon dioxide. These uniquely accumulate in the atmosphere and in the oceans, where they contribute to increased acidification. The IPCC has estimated how much more carbon dioxide can be pumped into the atmosphere if warming is to be limited to either 1.5C or 2C. Globally, we must reach net-zero carbon dioxide emissions around 2050 if we are to stay below 1.5C, and around 2075 to stay below 2C. Ensuring the global temperature is stabilised around 1.5C is exceptionally challenging. The report explores overshoot scenarios in which the global temperature exceeds 1.5C and is later reduced through removals of carbon dioxide from the atmosphere – negative emissions. These scenarios increasingly rely on changes to land use to provide negative emissions, including conversion of agricultural land to forestry and energy crops. Emissions of other warming agents including methane, nitrous oxides and particulate black carbon (soot from burning) should also be reduced. However, food production requirements mean there are limits for these options. The messages are stark and highlight the consequences of our historic and ongoing reliance on fossil energy. The question is how rapidly this reliance can be reversed. This week, world governments meet in Poland where the IPCC report will be high on the agenda. Ahead of this meeting, the World Meteorological Organisation has announced atmospheric greenhouse gas levels have reached a new record, with no sign of a reversal in the increasing trend. More positively, the EU Commission has just published its revised 2050 roadmap taking account of the Paris Agreement. It envisions a climate-neutral Europe by 2050 based on transformation of key areas including in energy, transport and communications, advancing the circular economy and using carbon sinks and carbon capture and storage to provide negative emissions. The costs of doing this are likely to be immense but the costs of not doing so may be immeasurable.